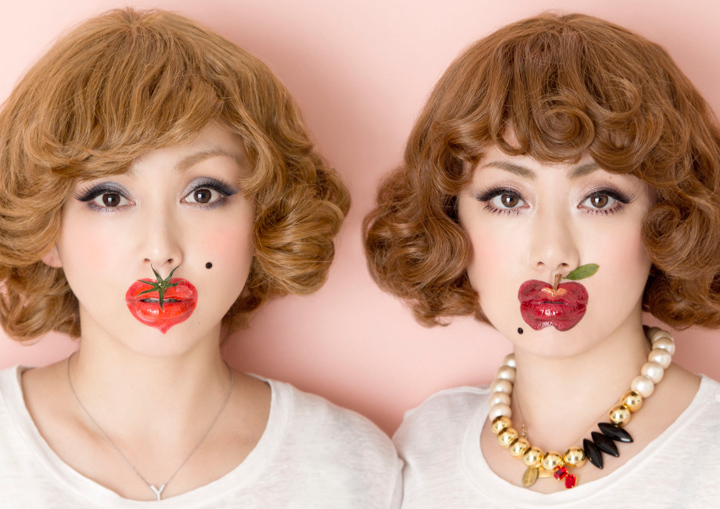 Japanese duo Puffy AmiYumi are more than just a chart topping group…much much more. They are, quite simply, a cultural phenomenon. Puffy AmiYumi’s versatility and ability to continually surprise have given them a career longer than the average American pop idol or Japanese idoru, as they’re called over there, and has allowed them to truly have a history, not just a catalogue. And that may have even surprised the members of Puffy AmiYumi themselves, who were strangers until the two were brought together by a record label and a management company. In 1995, Tokyo-bred Ami Onuki and Osaka native Yumi Yoshimura had each learned about talent searches underway in Tokyo and decided to see how they might fare at them. Ami put together a demo for Sony, which had advertised for singers, and Yumi auditioned for a management company that was checking out a variety of performers, actors as well as musicians. After Ami sent her tape to the label, she was skeptical that anything would happen: “I just wanted to look at the rejection letter to see what they would put in the note to say sorry,” she told a U.S. reporter. It turned out, however, that Ami, after being paired with Yumi, was just what they were looking for. Ami and Yumi meshed uncannily well as vocalists and they had a rapport that went beyond the merely professional; you could easily mistake the duo for siblings a la the Roches or Cowsills because of the way their voices blend. Performing in unison, they create a single, immediately identifiable sound that is very much their own. One generally doesn’t find ‘N Sync and the Pooh Sticks mentioned in the same sentence, but that’s the way it is in the no-rules world of Puffy AmiYumi. When they released their first stateside LP, Spike, in 2001, through Sony Music International, American critics madly rummaged through their catalogue of comparisons, likening the duo to everyone from ABBA and ELO to the Cardigans and Stereolab. Out in May 2002, An Illustrated History contains tracks that Ami Onuki and Yumi Yoshimura have released over the last five years, many with former Jellyfish drummer, Andy Sturmer and Japanese rock star Tamio Okuda by their sides. However, as you will soon discover, there is no sell-by date stamped on their material. In the world of Puffy AmiYumi, anything is possible: no style is taboo, no era goes unexplored, and no combination is too out there. All the sounds they love co-exist harmoniously in one inviting place. With a sound that appeals to young and old alike, Puffy AmiYumi are poised to achieve a level of stardom that no Japanese group has yet to reach.